PUBG (PlayerUnknown’s Battlegrounds) has already become so much popular and most installed game in the world. 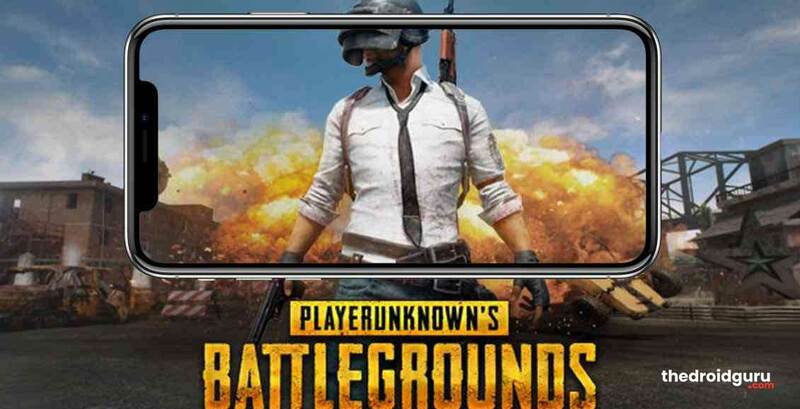 The PUBG Mobile game for Android has already been installed over 100 million on Google Play Store. The 1.5 GB in size game gets 4.5 stars rating over 8 million users reviews. 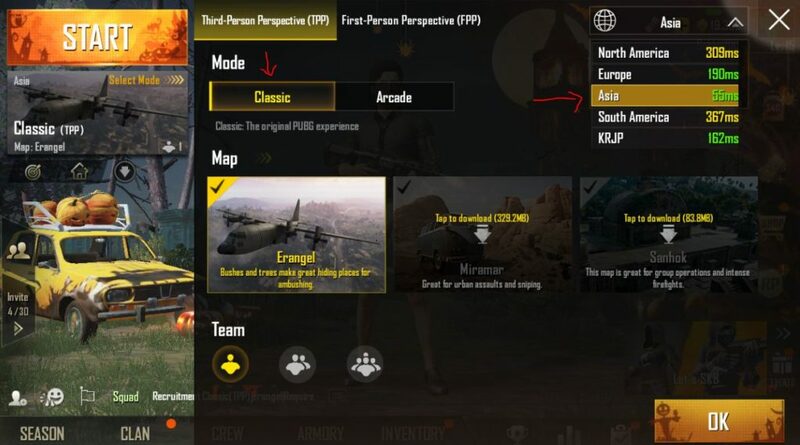 Recently, Tencent Games also released a Beta PUBG Mobile on Play Store. This beta build is development currently and unreleased yet. But the most common issue in PUBG gameplay are lagging and frame drops. In this post, we will talk about how to increase performance in PUBG gameplay. However, the users may notice lag and frame drops due to various reasons during gameplay. Here we will talk about the issue and provide the recommended settings and usage to ensure stable FPS expectedly. If you’re using a standard or flagship device with better hardware, you won’t see any noticeable lag. But if you’re using any low-specs handset, you have to optimize it. The another issue is Ping related lag. If you’re using mobile data or Wi-Fi which ping is higher than 200ms, then you will definitely notice the lag. It’s only because of mismatch server response timing between game server. You will feel the gameplay experience quite slower than expected and that will create difficulties to eliminate enemies. Here are the few steps to increase performance in PUBG gameplay with lag-free experience. First of all, close all running background apps from the system settings to free up some device storage, RAM, and CPU usage. Because if your device has run several tasks in the background, it could slow down the device performance. Most of the smartphones now come with default Performance Optimization or Game Mode settings. Such as Xiaomi, Huawei, Honor, Asus, Oppo, Realme etc devices come with Game Optimization option. Huawei, Honor, Oppo, and Realme devices do come with default optimization called GPU Turbo and Game Space settings. Meanwhile, this option turned on automatically when the game launches. It restricts the outer CPU usage and performance to manage space and RAM for the particular game. While Huawei’s GPU Turbo boosts GPU performance and FPS overall. You can also find out the article on – Improve FPS in PUBG Mobile with GFX Tool for Android (Root) – Up to 60 FPS UHD This will be also helpful for you. Open the game settings and tap on the ‘Graphics’ option from the right of the screen. Then change the Graphics to ‘Smooth’. Under the Graphics settings, you will see the Frame Rate option. By default, you will get the maximum frame rate option for your device. But if you’re still facing frame drops then reduce the frame rate to ‘Low’. If you’re using a higher ping internet or server, you will notice occasional frame drops and shutter during gameplay. You can’t play the game easily but it will be difficult to kill or aim the enemies. The lack of stable internet speed and higher ping can cause difficulties. The frame drop can cause the death of your character in the game. So no matter how good you play and how good your device specifications are, you will find it harder. Here are the couple of ways to try to get good and lower ping reply. For the first time, you have to check the server which you have selected for gameplay. If you choose a different region server, then you will get higher ping response than expected. Simply tap on the ‘Select Mode’ option > select favorite mode and map > tap on the upper right corner (globe symbol) to choose the current location-wise region. Now you will see your connected server. From there you can always check the lowest ping server. You could also use a VPN service to reduce your ping reply during online gameplay. The VPN services reduce the server response time in some cases. However, it can also take longer time than expected. If incase you’re still experiencing lag and higher ping issues, you should upgrade your device. Sometimes, the software bugs and stability issues also cause the lagging issues in gameplay. So check that also manually. Most of the cases, the hardware compatibility issue comes first than the software. Comment down below about your thoughts and issues during PUBG gameplay.